I have heard a few things about this website before, some good and some not so good. So I thought I would check it out for myself. 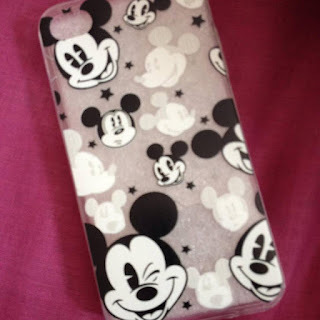 I have been after a new phone case for a while and have been looking at places like Amazon and ebay, I couldn't really find one that I wanted so I thought it would be a great time to check out Aliexpress. It's all things from China so I knew it would take some time to get here. Sorry not the best Photo. But I found this really cute case, it's a Think Soft clear slim cartoon cute Mickey Mouse case and at only 76p. So I ordered and though it would be a great thing to try this website out with. I ordered it on the 19th May and it came through my letterbox on the 4th June so it only took 15 days to come and I think it's great... it said that it could take up to 54 days to come so I am over the moon with it so far. There are a few things that I might buy, I will just have to wait and see.